This is the fourth in a 10-part series that focuses on the covenant law of Yah which was inscribed on tablets of stone at Mount Sinai. What do these laws really mean and how are we to keep them? This is the fifth in a 10-part series that focuses on the covenant law of Yah which was inscribed on tablets of stone at Mount Sinai. What do these laws really mean and how are we to keep them? This is the third in a 10-part series that focuses on the covenant law of Yah which was inscribed on tablets of stone at Mount Sinai. What do these laws really mean and how are we to keep them? 2 And on the seventh day Elohim ended his work which he had made; and he rested on the seventh day from all his work which he had made. 3 And Elohim blessed the seventh day, and sanctified it: because in it he had rested from all his work which Elohim created and made. 6 For I am Yah, I change not; therefore you sons of Jacob are not consumed. If he rested on the seventh day, and he does not change, what does that tell us? It tells us that the law concerning the Sabbath, and the Sabbath itself, did not change either. But what exactly is the Sabbath, and how is it to be kept? The Scriptures reveal the answers to these important questions. First, we’ll look at the book of Exodus, specifically chapter 31. 12 And Yah spoke unto Moses, saying, 13 Speak also unto the children of Israel, saying, Verily my sabbaths you shall keep: for it is a sign between me and you throughout your generations; that you may know that I am Yah that does sanctify you. 14 You shall keep the sabbath therefore; for it is pure unto you: every one that defiles it shall surely be put to death: for whosoever does any work on it, that soul shall be cut off from among his people. 15 Six days may work be done; but on the seventh is the sabbath of rest, pure to Yah: whosoever does any work on the sabbath day, he shall surely be put to death. 16 Therefore the children of Israel shall keep the sabbath, to observe the sabbath throughout their generations, for a perpetual covenant. 17 It is a sign between me and the children of Israel forever: for in six days Yah made heaven and earth, and on the seventh day he rested, and was refreshed. 7 . . . and worship him that made heaven, and earth, and the sea, and the fountains of waters. 8 Remember the sabbath day, to keep it pure. 16 And you shall say unto him, Yah Elohim of the Hebrews has sent me unto you, saying, Let my people go, that they may serve me in the wilderness. . . .
5 Because Abraham obeyed my voice, and kept my charge, my commandments, my statutes, and my laws. 11 For in six days Yah made heaven and earth, the sea, and all that is in them, and rested the seventh day: therefore Yah blessed the sabbath day, and hallowed it. The Sabbath, we are told, is a day in which no work should be done by anyone in our household. Laborious work that could be reserved for the other six days is not permitted on the Sabbath Day. 15 In those days saw I in Judah some treading wine presses on the sabbath, and bringing in sheaves, and loading donkeys; and also wine, grapes, and figs, and all manner of burdens, which they brought into Jerusalem on the sabbath day: and I testified against them about the day in which they sold provisions. 31 And if the people of the land bring in wares or any grain on the sabbath day to sell, that we would not buy it from them on the sabbath, or on the pure day. . . .
14 Then shall you delight yourself in Yah; and I will cause you to ride upon the heights of the earth, and feed you with the heritage of Jacob your father: for the mouth of Yah has spoken it. Anything that can be done during the six days of labor should be kept for those days, that is why the sixth day is considered a preparation day to complete all the things we need for the Sabbath, so that the Sabbath can be kept undefiled. In fact all Sabbaths had a preparation, which is the day that precedes it (see Mark 15 verse 42). 12 Therefore it is lawful to do well on the sabbath days. 15 . . . You hypocrite, does not each one of you on the sabbath loose his ox or his donkey from the stall, and lead him away to watering? This act should be considered work as well, but a living, breathing animal needs food and water to survive, and that hunger and thirst must be satisfied on the Sabbath also. Therefore, to do this kind of laborious work on the Sabbath is permitted. This is doing good on the Sabbath Day. And Yeshua fulfilled this by healing on the Sabbath and having his disciples pluck grain and eat on the Sabbath when they were hungry, two acts that the Scribes and Pharisees viewed as work. 1 And Yah spoke unto Moses, saying, 2 Speak unto the children of Israel, and say unto them, Concerning the feasts of Yah, which you shall proclaim to be pure convocations, even these are my feasts. 3 Six days shall work be done: but the seventh day is the sabbath of rest, a pure convocation; you shall do no work on it: it is the sabbath of Yah in all your dwellings. 24 Elohim is a Spirit: and they that worship him must worship him in spirit and in truth. 8 But, beloved, be not ignorant of this one thing, that one day is with Yah as a thousand years, and a thousand years as one day. 4 For a thousand years in your sight are but as yesterday when it is past, and as a watch in the night. Given this understanding of a thousand years representing a mere day in Yah’s eyes, we see this highlighted in several prophecies. One such prophecy is that of the thousand year reign of Yeshua, as recorded in the book of Revelation. 6 Blessed and pure is he that has part in the first resurrection: on such the second death has no power, but they shall be priests of Elohim and of Messiah, and shall reign with him a thousand years. 6 The wolf also shall dwell with the lamb, and the leopard shall lie down with the kid; and the calf and the young lion and the fatling together; and a little child shall lead them. 7 And the cow and the bear shall feed; their young ones shall lie down together: and the lion shall eat straw like the ox. 8 And the nursing child shall play over the hole of the asp, and the weaned child shall put his hand on the adder's den. 9 They shall not hurt nor destroy in all my pure mountain: for the earth shall be full of the knowledge of Yah, as the waters cover the sea. 34 And they shall teach no more every man his neighbor, and every man his brother, saying, Know Yah: for they shall all know me, from the least of them unto the greatest of them, says Yah: for I will forgive their iniquity, and I will remember their sin no more. 21 And the inhabitants of one city shall go to another, saying, Let us go speedily to pray before Yah, and to seek Yah of hosts: I will go also. 22 Yea, many people and strong nations shall come to seek Yah of hosts in Jerusalem, and to pray before Yah. 23 Thus says Yah of hosts; In those days it shall come to pass, that ten men shall take hold, out of every language of the nations, even shall take hold of the robe of him that is of the tribe of Judah, saying, We will go with you: for we have heard that Elohim is with you. Talk will be of Elohim being with the people of Israel during this time. Worldly talk, as I’ve stated, will be a thing of the past. So to recap the requirements of the Sabbath Day, idle or worldly conversation, or any kind of discussion that does not glorify Yah should not be enjoyed on the Sabbath day. It is a day for pure conversation. Work that is reserved for the other six days of the week should not be done on the Sabbath day, and neither should you buy or sell anything in any way. And the Sabbath is a feast day, the first of many feasts mentioned in the Levitical record of the Torah in fact. You see, what the Sabbath truly represents is how things will be in the soon coming Kingdom of Yah, where we will never discuss anything idle, as all conversations will be Yah-centered. The redeemed will also finally experience true rest, which is represented as the Sabbath requirement to cease from labor. The prohibition to buy or sell represents the end of the Babylonian merchant and economic system that we are under, which will not exist during the millennium. And the millennium will also be the time of the marriage supper of the lamb, which will be a great feast, as the Sabbath is in fact a feast day (see Revelation 19 verses 7-9). It is important that we understand this law, and all the laws, so that we might serve Yah as he is supposed to be served. But for much more on the Sabbath, its history and purpose, and what actually constitutes a Sabbath Day, please watch our full-length documentary, Understanding the Sabbath. It is a companion to this particular scripture study. And with that, with regard to your next Sabbath, we bid you Shabbat Shalom! 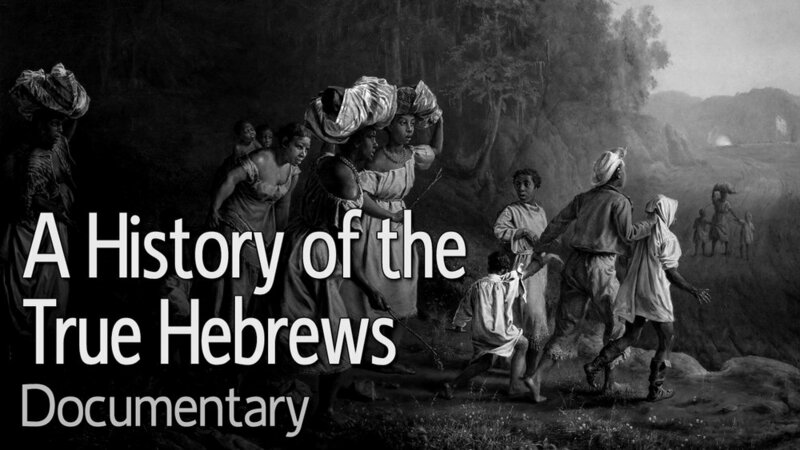 An in-depth look at the seventh-day Sabbath, both from a historic and scriptural perspective. To prove the relevance of this important day, we call on numerous credible sources and many scriptural verses from the Pre-Messianic Scriptures and Messianic Writings.